When I met John Denny for the first time, I was living in my winnebago in the alley behind Pete Drakes studio, Pete's Place, in the parking lot under a big tree. I'd been there for a few weeks as I tried to find a gig playing music and get up and running on Music Row. The year was 1984 and I was following through on my grand plan to relocate to Nashville to become a professional songwriter. We met at a barbecue at the home of a mutual friend, and as we were talking, he asked where I was staying. When I told him, he got all freaked out and said that wasn't a safe place to be and that I needed to be staying somewhere else. It really bothered him, but I told him I was fine and not to worry. I had a 12 gauge pump shotgun and lots of shells and I was fine, but John wouldn't let it go. Before the party was over, he insisted that I bring my winnebago over to his house and park in his driveway. He said I could stay there until I found another safe place to go or got moved in somewhere. He said he wouldn't be able to sleep that night, worrying about me, and he wouldn't take no for an answer. So I moved there that night and ended up living in his driveway for a year and a half, plugged in to an electrical outlet on the side of his house like an umbilical cord. Every morning, when John was leaving to go to his offices and studio on Music Row, I'd hear him so I'd come outside and we'd visit for a minute or two. Same thing when I'd hear him coming home at night, we'd make small talk, getting to know each other a little, keeping in mind we were pretty much total strangers. He knew I was a musician, that I was signed to RCA Mexico, and that I was from Iowa and that was about it. He'd ask if I had found a gig yet, stuff like that. We'd just chit chat for a few minutes. Of course I hadn't found a gig yet and I was just about out of money, living on peanut butter sandwiches, tuna, and chicken noodle soup. Every other day I would drive to an RV park out by Opryland and pay 2 dollars to rent the shower house for 30 minutes and get cleaned up. After a month or so, I just had to find a job, and that job ended up being selling Kirby vacuum cleaners, door to door. As you've probably already figured out, my plan for conquering Nashville wasn't going to good. I saw an ad in the newspaper looking for salespeople, but it didn't say what product you would be selling. When I walked to the pay phone and called the number, they told me to come the next morning to their office and they'd tell me all about it during my interview. When I got there - there was probably around 30 of us - they seated us in this big room on rows of folding metal chairs. As soon as this guy got up to start talking, someone interrupted him and asked what the product was that we would be selling, if we did get the job. He said Kirby vacuum cleaners and more then half of the people got up, shaking their heads, and left. The man asked those of us remaining to move forward to fill the empty seats and said he was going to show us a film presentation that would explain everything. After that, we could ask all the questions we wanted. I was still trying to wrap my head around picturing myself going door to door as a vacuum cleaner salesmen when he started the film, and there on the screen was Roger Staubach, one of my favorite football players, talking about how much he enjoyed selling Kirby's and what a great machine they were. The best in the world he said. You could hear the metal chairs scraping the floor as more people got up and left. Myself, I was listening to Roger talk and thinking, no way would Roger lie to "me", not Roger Staubach. Maybe, just maybe, I would be a very good vacuum cleaner salesman. Of course I was also thinking, I'm signed to RCA, I play music for a living, I didn't leave my family and friends in Iowa to sell vacuum cleaners, 500 miles from home. I almost got up and left, but then I thought, I'm broke and I have to do something, so I stayed. Then it happened. On the screen came Willie Nelson, saying just what Roger had said. Kirby's were the greatest vacuum cleaner ever made, that he had sold them too, and he endorsed them 100%. That did it and I made my decision right then and there. If selling Kirby vacuum cleaners was good enough for Willie Nelson, then of course it was good enough for me, and that's how I became a Kirby vacuum salesmen in 1984, and now I had a job! I could hardly wait to tell John. Now I'd be making money hand over fist and I could get a place, sell the winnebago and get out of his driveway. He hadn't said a thing about charging me rent for me staying there, but I felt indebted, and I was excited to tell him that I was working now, so I'd soon be getting a place of my own. When he came home, I heard him pulling in and I came out to meet him. I told him I'd got a job and he asked me what kind. I told him proudly, "Kirby vacuum cleaner salesman." and he got real weird, just like that. Very stern and said, "I hate vacuum cleaner salesman. If you ever try to sell me one, you're out of here." Exact words, I'll never forget, and of course I promised him I wouldn't and also not to talk about it with him. It was one of those conversations you have with someone that doesn't go at all like you had pictured it in your mind. Very, very, strange, especially since we were still virtually total strangers. So I fired up, going door to door and sold Kirby's, 12 of them to be exact over the next few weeks, leaving at dawn and getting home after dark. I was doing so good they actually gave me a Kirby, so I'd have one to demonstrate any chance I got. I hardly saw John that whole time, and then one early Sunday morning, he woke me up, knocking on the door of my winnebago. He said he was having a cookout later that day and invited me, saying there would be several of his friends in the music industry there, and that he could introduce me around. He said he only had a minute to visit, because he had so much to do before his party. His girlfriend was out doing the shopping and he still had to clean his house before his guests arrived, so he had to go. I offered to help, told him I owed him so much that the least I could do was help him get ready for his party and he accepted my offer. I grabbed my Kirby and entered his house (for the first time ever) and started cleaning, and John when into his kitchen and started washing dishes. John has a beautiful home and he has these very fine expensive drapes on one wall. I broke down the Kirby to where it was hanging off my shoulder by a strap, and as I was cleaning the drapes, I realized that John was standing right there beside me. He said, "Can I try that?" I handed it to him and he refused to give it back. It was classic. We were drinking coffee, sitting at his kitchen table when his girlfriend returned from the store, her arms full of groceries. I was talking on the phone to my supervisor, who had just closed the deal over the phone with John, to buy that very Kirby, and John was writing out the check. His girlfriend said, "John, what are you doing?" John stopped writing, looked at her, then back at his check book, then back at me and said, "You tried to sell me a Kirby." He took the phone from me and cancelled his order. I packed up the Kirby as quick as I could, and after apologizing profusely, (even though I really wasn't trying to sell him anything) I went back out to the Winnebago and started trying to figure out what I was going to do now. I had obviously worn out my welcome and I felt really bad about it too. Needless to say, I didn't go to his party later that afternoon or see John again that night. The next morning as I was just getting ready to leave for work, there was a knock on my door. I opened it and there was John Denny. He said, "How would you like to come to work for me on Music Row? Anybody who could sell me a vacuum cleaner, can surely sell someone a song." I said YES, and he said, "You start tomorrow morning." and that's exactly what I did and how I got my first job in the music business. Soon after, John also gave me keys to his house and told me to quit going out to the campground and paying to use the shower. Not once did he ever even mention rent, the whole time I lived in his driveway, for a year and a half. That's John Denny, and he's went out of his way like that for scores of struggling songwriters, to many to name but you'd know several of them, if I did. I owe him so much, I could never possibly repay him and he probably wouldn't hear of it, if I tried. That's John Denny, and I love him dearly for being there for me and for being my teacher and friend. He taught me so much about songs, songwriting, and music publishing, and entrusted me with his recording studio, his home, his property. John Denny gave me my start on Music Row. John's whole life has been about songs, songwriters, and music, he loves music. I've known him to listen to music all day in his office, go into his studio and record into the night, then turn on music as soon as he walked in the door of his house. He gets so excited when he hears a song for the first time that he likes, and there's no grey area with John, he either thinks it's a hit or he passes. He's spent his whole life in publishing and the music business, and there's no doubt in my mind he's done so because of his passion for music and the songwriters that create it. 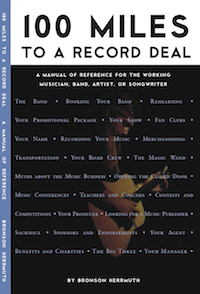 In times like this in our industry, when it's so hard to get anyone on Music Row to even listen to your music, John's company, The Denny Music Group, has kept an open door to songwriters from the minute he opened for business many decades ago, and that's saying something. Thank you John Denny, and I should have wrote these words a long, long, time ago. You're the Best!